Climate-smart agriculture, including agroforestry and other diversified farming practices, has huge potential to improve food security and address climate change at the same time. Researchers, policymakers and farmers discuss what should be done to expand such practices and bring greater benefits to more people. The global population is estimated to jump from 7 billion to 9 billion by 2050. Despite impressive economic growth in Asia and the Pacific, the region still has to address the food insecurity of over half a billion of its people. Environmental degradation is another issue the Asia-Pacific region is facing that has a direct impact on ensuring a sustainable food supply. The growing populations and economies demand that agricultural production keeps up, including producing safer and more nutritious food. Farmers thus turn to new methods, which often can result in greater yields but can also lead to greater degradation and depletion of natural resources. Mahfuz Ahmed, technical advisor for rural development and food security with the Asian Development Bank pinpointed large-scale migration as one of the top threats to food security. Rural–urban migration reduces the number of people working in agriculture. Another top threat is extreme weather, a corollary of climate change, which further compounds these threats and results in often huge losses in production. In response to the increasingly fragile future for food in the region, the Bank organized the Food Security Forum: Safe, Nutritious, and Affordable Food for All, 22–24 June 2016 in Manila, Philippines to share knowledge, showcase agricultural technologies and networks and build partnerships that can bolster global and regional ambitions to achieve food security. A wide range of experts from the private, government and non-governmental sectors spoke about the challenges and how to meet them. How can agriculture feed everyone? More communities, organizations and governments are recognizing the potential of climate-smart agriculture (CSA) approach in addressing both food security and climate change. 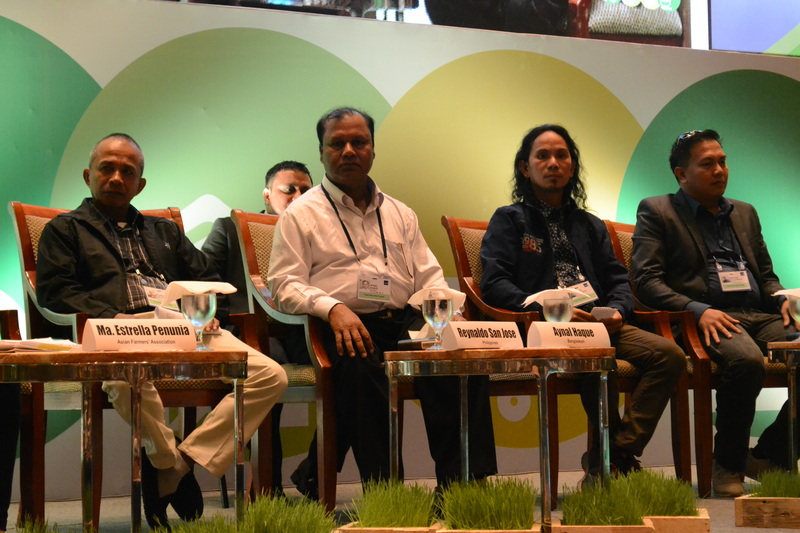 CSA was highlighted during the Food Security Forum as one of the most innovative technologies for tackling resource constraints and climate change. According to the Food and Agriculture Organization of the United Nations, ‘CSA aims to tackle three main objectives: sustainably increasing agricultural productivity and incomes; adapting and building resilience to climate change; and reducing and/or removing greenhouse-gas emissions…’. As an approach, CSA is locally specific: what might be considered a CSA practice in one community might be different in another. 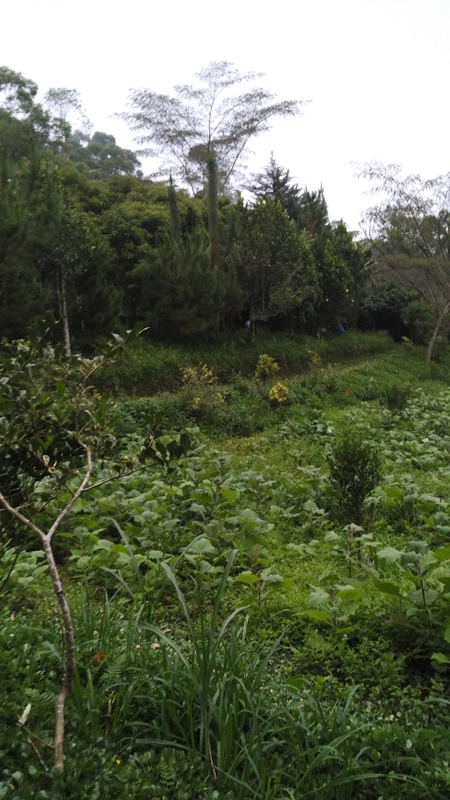 Agroforestry and diversified farming are examples of CSA practices that communities can adopt and adapt to their own situations. Integrating trees on farms provides additional sources of income for farmers, ensuring they can still have income and food from tree products even if their other crops fail. In addition, when the right tree species are planted they can provide shelter for annual crops, improve the micro-climates of farms and even increase production or yields of other crops. Agroforestry in Viet Nam has been proven to help farmers recover more quickly from natural disasters. A case of diversified farming was presented during the Forum. JonJon Sarmiento, known online as Farmer Jon, is the sustainable agriculture program manager of the Pambansang Kilusan ng mga Samahang Magsasaka (PAKISAMA), a national farmers’ federation in the Philippines. Farmer Jon is advocating what he calls, ‘integrated, diversified, organic farming systems’. These systems help farming communities withstand the impacts of climate change, including more intense typhoons. Diversified farming gives farmers diversified sources of income, helping them become less reliant on only one crop for their food and livelihoods. Rice farms do not only produce rice but also have fruit trees on the side, cash crops, fisheries and livestock. Integrated farming, on the other hand, would maximize crop and livestock interactions to improve agricultural production. According to Farmer Jon, ‘Ideally, integrated systems should be able to stand on their own. One plus one equals four, five, six, seven… Nutrient recycling is the main strategy’. An example from his farm is how he can make organic fertilizers for his rice crops from the waste of his pigs and bananas. Then the rice straw from his fields is used to feed livestock. A virtuous cycle of virtually no waste. Farmer Jon argues that farmers employing such strategies help their families become food and nutritionally secure with their diverse produce. ‘President Rodrigo Duterte [of the Philippines] says he can combat drugs and crime within three to six months’, he said. ‘I say we can combat hunger and poverty within three to six months after calamities with integrated, diversified, organic farming systems’. Inspirational and practical, farmers such as these represent a future in which our food is not only plentiful and able to feed all the hungry new mouths but is also nutritious and providing solid, regular incomes to the people who produce it. It is this kind of practice that will sustain our future. Part 1 of the food security and agriculture story. Read part 2.